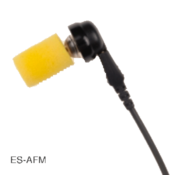 The ES-AFM Foam Ear Insert attaches to the ASP Receiver and cable. 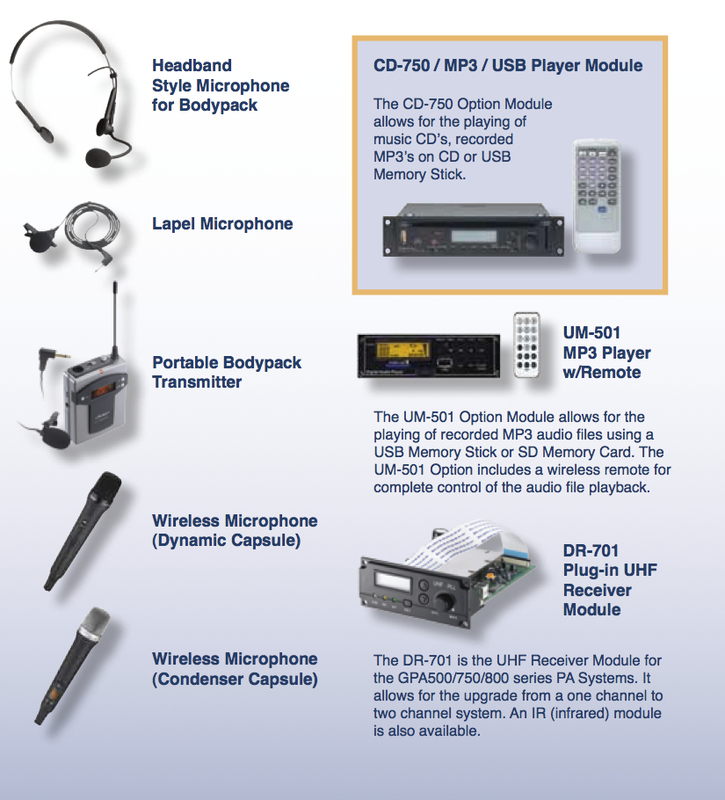 Kit includes Cable, Button Receiver, Plastic Tip and 4 Foam Inserts. 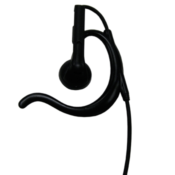 The ES-BUG Earphone puts the comfort of an ear bud with the added security of an over the ear rubber hook. The ES-EST Clear Coil Sound Tube with tips. 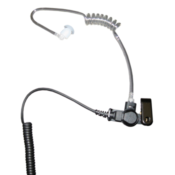 Kit includes Cable, Button Receiver and Clear Coil Sound Tube with clothing clip and eartips. The ES-EST003C Clear Coil Sound Tube with tips. 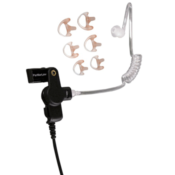 Kit includes Coiled Cable, Button Receiver and Clear Coil Sound Tube with clothing clip and eartips. 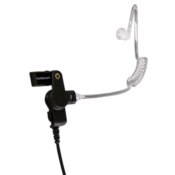 The ES-ILT003C Listen Only Earpiece with Short, Straight Sound Tube, Coiled Black Cable and 3.5mm Connector. Coiled cable stretches to allow for movement when attached to your shoulder microphone. 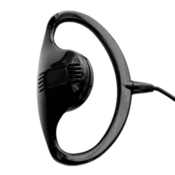 The ES-MLD Non-occluded Ear Mold with Sound Tube. 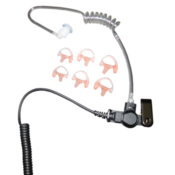 Kit includes Cable, Button Receiver, Clear Coil Sound Tube with clothing clip and Small, Medium and Large, Left and Right Non-occluding Ear Molds (6 pieces). 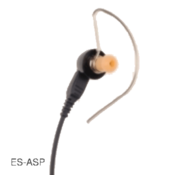 The ES-MLD003C Non-occluded Ear Mold with Sound Tube. 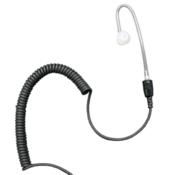 Kit includes Coiled Cable, Button Receiver, Clear Coil Sound Tube with clothing clip and Package of 6 (1 each Small, Medium and Large, Left and Right) Non-occluding Ear Molds. The OK-EM101 earphone fits comfortably around the ear. At just over half an ounce, including the cable and connector, the EM101 is nearly weightless. 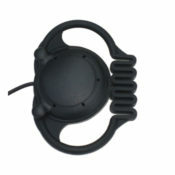 Available with a 3.5mm connector and 48″ cable.